The seventh seed in the Men’s Singles, Fang Bo failed to advance in the 2016 ITTF World Tour SheSays China Open after losing in the round 16. His challenger was his compatriot Zhou Yu. Around four years ago, these two young men encountered each other in the final round of the Chinese National Championships. The result recorded was the same as last week. “If I won the second game, I can defeat him,” Fang Bo said. Fang Bo, seeded seventh in the competition, lost to Zhou Yu in last week’s ITTF World Tour SheSays China Open Men’s Singles round 16. “The main reason is that I won the first game but failed to seize the opportunity to create a big lead in the second game. Another thing is that my condition is not ideal. Before coming to the competition, my hands had to be treated. We did not have any training for about a month so my competitive state hasn’t reached a good level. I have expected this result,” he added. Fang Bo revealed that he injured his right wrist during his training after the Olympic Games. That made an impact on his preparations for the competition. However, as a true athlete, he refused to attribute it as an excuse for his defeat. Just days after the China Open, members of the Chinese Team will have to adjust quickly for another competition: the 2016 Chinese National Championships. Fang Bo is one of the players who will be participating in it. He hopes to achieve good results in such competition by adjusting his condition on a timely basis. 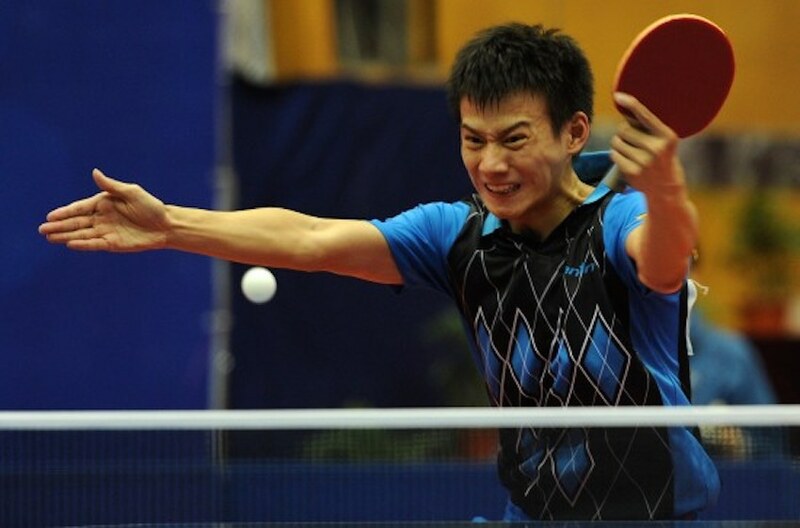 “I have to restore my condition as soon as possible to prepare for the Chinese National Championships,” said Fang Bo. The 2016 China Open was not the first time Fang Bo and Zhou Yu encountered each other in the arena. In the 2012 Chinese National Championships, both players went against each other after sealing their seats in the Singles finals. As rookies, it was considered to be a substantial achievement for both Fang Bo and Zhou Yu. After five games, it was Zhou Yu who secured the Men’s Singles title while Fang Bo had to settle as the runner-up.